If you find cooking themed games addictive and are keen to slice and dice a wide variety of ingredients to create delicious, mouth watering dishes, continue reading to discover why you should download Toca Kitchen 2 for PC. 1. Countless characters to feed. In Toca Kitchen 2, you’ll be in charge of your own kitchen and will be tasked with feeding the hungry mouths of all of your customers. All of whom will either have a positive, neutral or negative reaction to the meals which you provide them with. 2. You’ll be able to create your own one of a kind recipes. While many cooking games force you to cook specific recipes, that become monotonous and tedious to prepare, if you download Toca Kitchen 2, you’ll have free reign of your kitchen. As an example, if you feel like mixing a fish head with fried leftovers and lettuce juice you’ll be able to. When it comes to coming up with new recipes, you’re only limited by your imagination! If you don’t feel like creating weird and wacky creations, you’ll still be able to prepare traditional comfort foods as well. Examples of which include burgers, juices, cake and pizza. 3. Five different kitchen tools to experiment with. As an example, you’ll be able to make tomato sauce by placing tomatoes in your blender or to bake fish in your oven. There’s no rules to follow and you can even choose to boil a salad, if you’re interested to see what happens if you boil your salad in a pot of water. 4. A fridge full of fresh tasty ingredients. 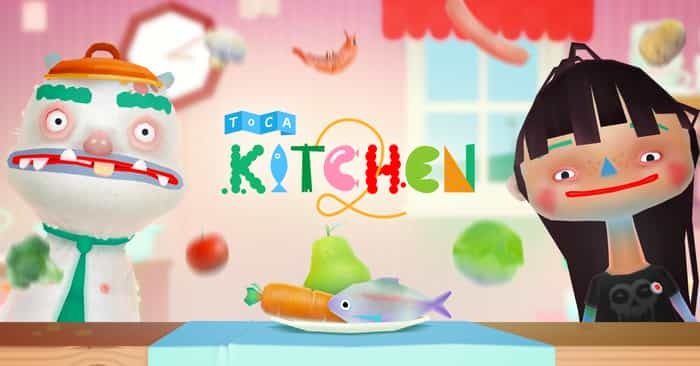 If you’ve played Toca Kitchen and have been eagerly awaiting the release of Toca Kitchen 2, you’ll notice that Toca Kitchen 2 features a greater number of ingredients than its predecessor. So you’ll love looking through your in game fridge, to see what ingredients you have to work with. Part of the fun of playing Toca Kitchen 2 is that you’ll get to watch your guests consume the meals which you prepare them. As an example, you may get to witness one of your guests face turn green after eating a boiled salad which features his heads. Although it’s also highly satisfying watching your guests consume meals which they love, which proves that your recipes are a winner. 6. No quests or timed goals to complete. If you’re tired of playing highly competitive games that feature an endless list of quests and goals to complete, you’ll appreciate the fact that Toca Kitchen 2 is focused on creativity and is a sand box style game, which isn’t based around quests or timed goals. So you’ll be able to let your imagination loose and to come up with brand new recipes, instead of worrying about trying to feed a certain number of guests in a specific amount of time. 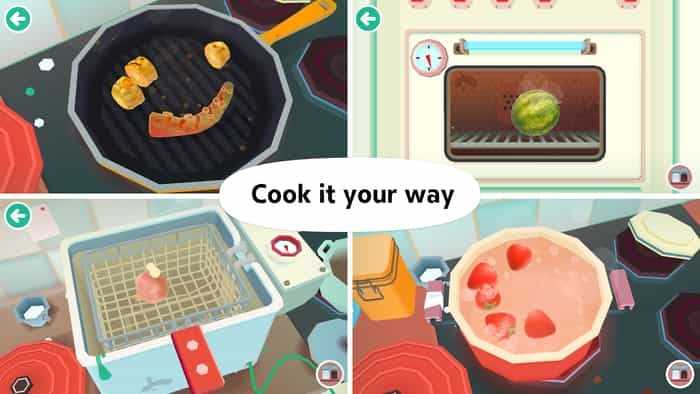 If you’re already putting together ingredients in your head that may work together, it’s well worth downloading Toca Kitchen 2 on pc in order to see if your recipe idea is a winner. Sometimes when playing Toca Kitchen 2, bluestacks ask you fee to pay but gives you option to download some apps. Every time it asks you just select “Install apps” and continue using it free. I hope you enjoyed this article, please rate and share. If you have problems running Toca Kitchen 2 on your desktop or any other issues, leave a comment below.